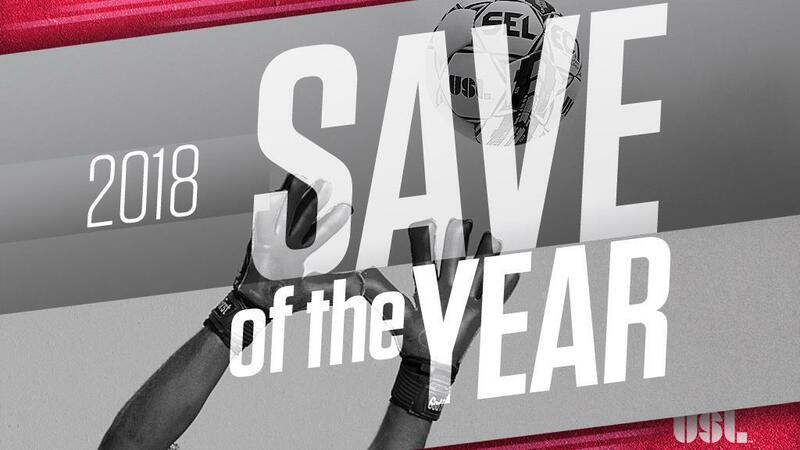 TAMPA, Fla. – North Carolina FC’s Alex Tambakis will take on the Richmond Kickers’ Trevor Spangenberg in the final ballot for the 2018 USL Fans’ Choice Save of the Year after the duo came through their semifinal matchups over the past week to set up the final encounter. Tambakis’ standout save to deny Toronto FC II’s Tim Kubel from long range advanced to the final as it took a solid victory with 60 percent of the vote against the Charleston Battery’s Joe Kuzminsky. Spangenberg’s entry also came against the 2018 USL Cup champion, with his trio of stops against Louisville taking 67 percent of the vote against San Antonio FC’s Diego Restrepo. Voting in the Final will continue through 12 p.m. ET on Friday, December 21.